Preparation works will begin on Temeside Way, between the Ketch and Powick Roundabouts, at the start of February, ahead of the main works starting on the final phase of the Southern Link Road scheme. The start of this last phase of works is planned for early spring and includes a new river bridge and a viaduct and causeway stretching over 1.5km. 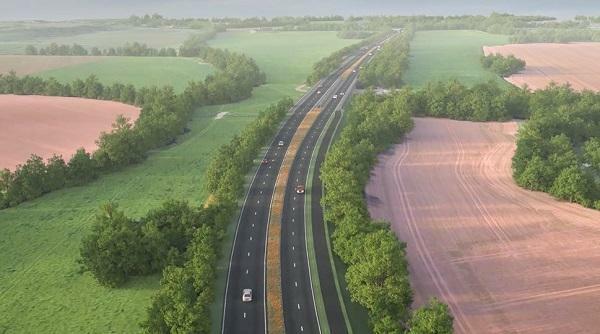 The full scheme, being delivered by Worcestershire County Council, is set to fully dual the A4440 Southern Link Road (SLR) from Junction 7 of the M5 to the Powick roundabout. Once complete, journey times will be further improved and congestion relieved. In early February, the County Council's contractor is to begin constructing a security fence on the southern side of Temeside Way between the Carrington Bridge and Powick Roundabout. Temporary traffic lights will need to be in place for a lane closure whilst the fence is being installed. At the same time as the fence installation, vegetation from the southern side of the road (on the left as you drive towards the Powick Roundabout from the Ketch) will be removed as the new two lane road will be built on this side. Worcestershire County Council's Cabinet Member with Responsibility for Economy and Infrastructure, Cllr Ken Pollock, said: "The timing of these works is vital so that the main works on this final phase of the scheme can start in spring. To enable the lane closure over a short distance of road, temporary traffic lights will be in operation overnight from 9pm to 5am the following morning, starting on the evening of February 5th, for up to three weeks. Overnight closures during the first week will be on Tuesday 5th, Wednesday 6th and Thursday 7th February.